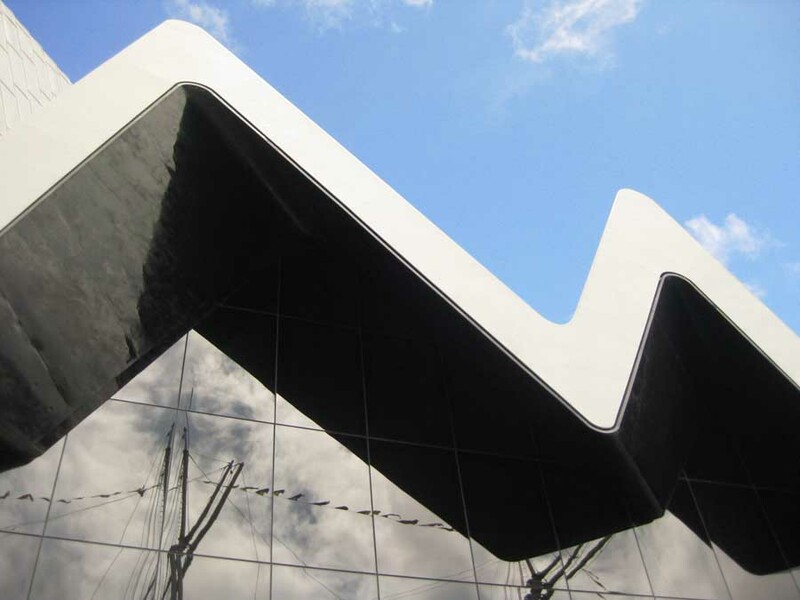 Zaha Hadid has been chosen as the architect for Glasgow’s new £50m Riverside Museum, with Event Communications being selected to carry out the Exhibition Design work. The decisions were taken by the members of Glasgow Council’s Working Group on the Regeneration of the River Clyde after the firms on the final shortlists had made presentations and been interviewed. on a site where the Clyde meets with Glasgow’s other main river, the Kelvin, and will be adjacent to Glasgow Harbour, a private-sector led mixed-use development extending to 120 acres. ‘This is an important milestone in our proposals to turn a very popular Transport Museum into an even more popular Transport Museum in an iconic building down by the Clyde. It is also another part of the jigsaw in terms of the multi-billion regeneration of the river. The Transport Museum is a key element of the Council’s plans for the continued regeneration of the River Clyde. The project has been costed at £50m. The existing Transport Museum is one of the best-visited in Scotland, attracting around 400,000 people on an annual basis. A total of 44 architects and designers had expressed an interest in working on the Transport Museum project. 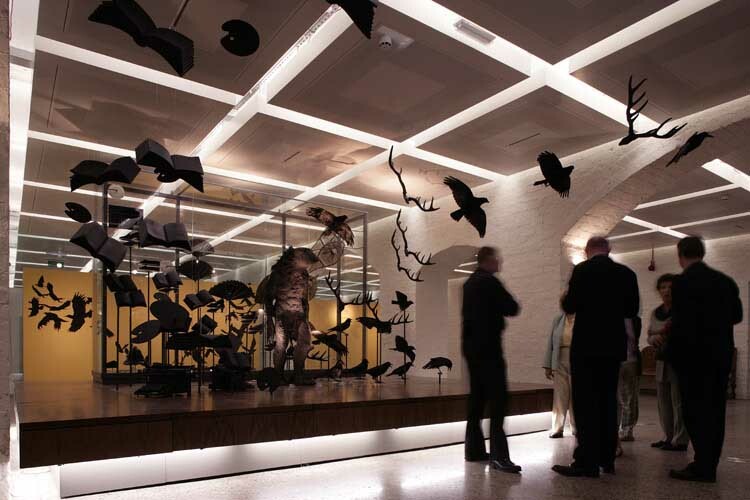 After a number of stages in which council officials carried out technical and financial assessments, three architectural practices and two exhibition design teams were placed on the final shortlists. 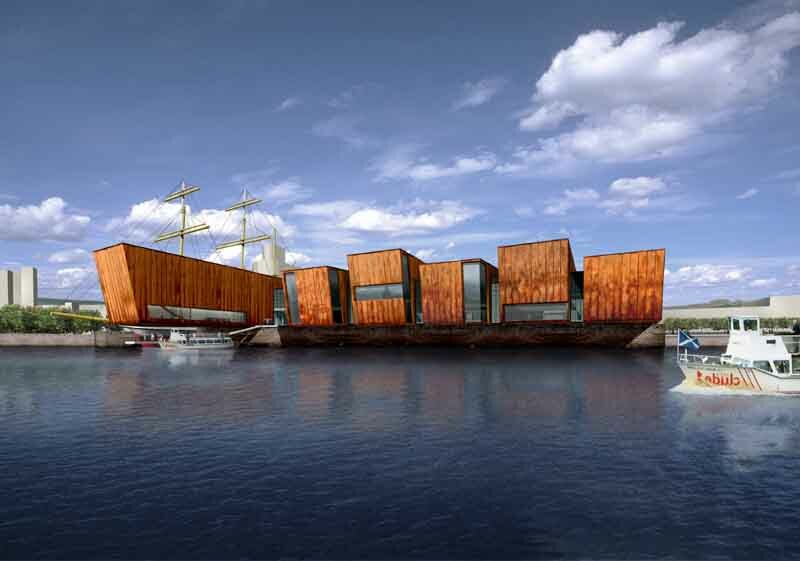 From an international field of architects, Gareth Hoskins Architects were the only Scottish practice chosen as one of 8 shortlisted for the new Transport Museum. 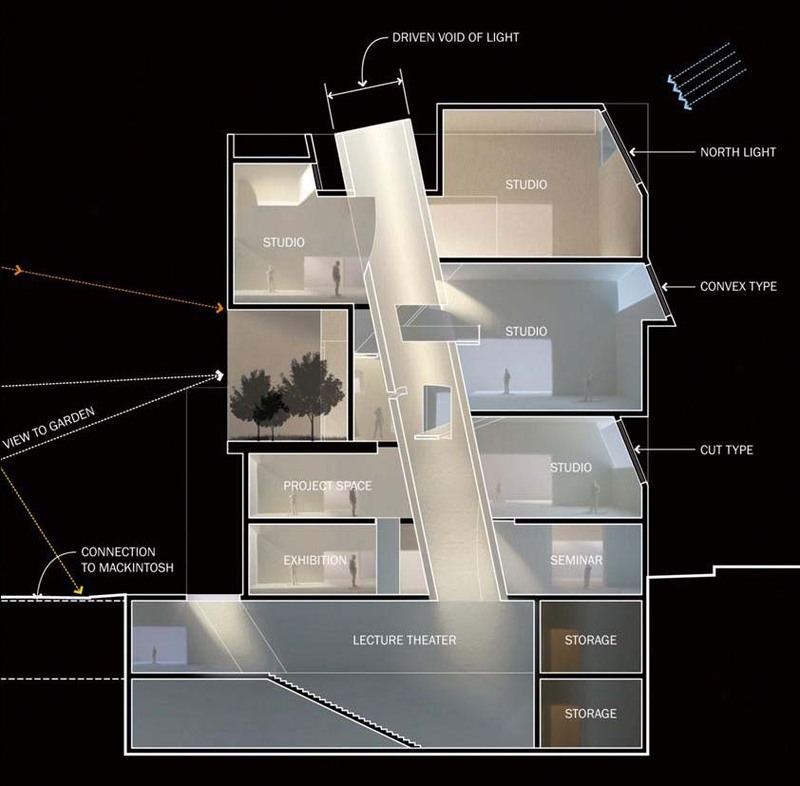 GHA was one of the three practices invited to interview 8 Oct and were narrowly beaten to second place by Zaha Hadid. 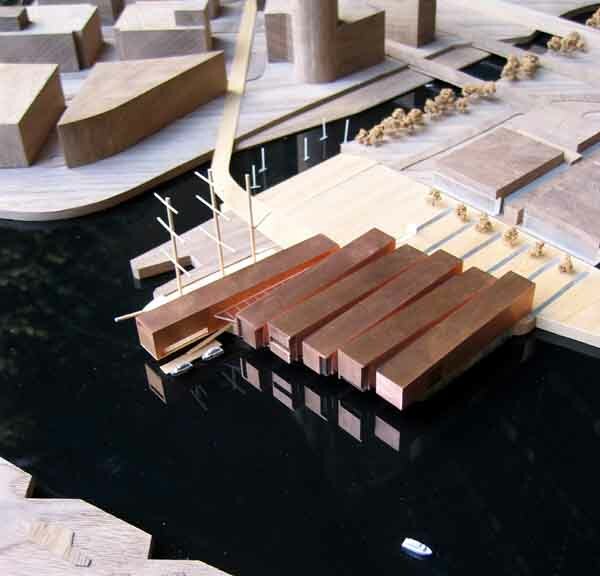 Our proposals put forward an idea for a striking new museum building which, through the integration of its associated landscaping and consideration of sense of arrival and place, forms a new public destination within the Glasgow Harbour development that connects directly with its dramatic riverside setting. Our design is conceived as a series of interlinked, parallel structures which cantilever out over the river and through their volume and structural frame arrangement, allow a variety of gallery volumes of variable heights and scales to be achieved with a range of different configurations of visitor routes and journeys. The dramatic overall scale and form of these interlinked, steel clad bays echo the scale and presence of the shipbuilding sheds that once lined the banks of the Clyde. Many of the above architects are world famous and some have a pedigree in Scotland already. Fosters have had projects built in Scotland, Gareth Hoskins clearly have being the only homegrown architects, Will Alsop has worked on the Clydeside masterplan but has no resultant buildings and Zaha Hadid has designed the Kirkcaldy Maggies Centre currently under construction. The Glasgow Transport Museum shortlist is remarkable – but not unmatched – for a Scottish project in terms of how many ‘superstar’ or ‘signature’ architects are included. Certainly Glasgow City Council leader Charles Gordon has achieved his goal of forming a shortlist list of ‘leading international architects’. The Glasgow Riverside Museum application seemed structured in a way unhelpful to Scottish Architects: ‘list three similar projects you have completed’; second round submissions were only funded by £2k per practice. Only three Scottish practices submitted. The Transport Museum Competition was run by Glasgow City Council and ‘overseen’ by the RIAS. Charles Gordon has said that the council plans to approach a leading international architect for the project. Some front-runners include Sir Norman Foster, who designed the Armadillo at the SECC in the city or Frank Gehry, who designed the world-renowned Guggenheim Museum in Bilbao in the Basque country of Spain. The leader of Glasgow City Council should be credited with kick starting the current regeneration initiatives for the Clyde, particularly, when many in the past had turned their backs. However, I guess like the majority of architects in Scotland, I am very disappointed that Charles Gordon is minded to approach a star name architect to design the New Museum of Transport. Enric Miralles, the designer of our parliament, was an architect known only in Northern Spain until the Barcelona Olympics in 1992. That initiative gave him, and others like Raphael Moneo the chance to work on buildings of importance, which would also have an international appeal and increased Spain’s standing in world architecture. The ‘local architects’ rose to the challenge and I think a Scots architect could do the same on Clydeside. Zaha Hadid is an architect who consistently pushes the boundaries of architecture and urban design. Her work experiments with new spatial concepts intensifying existing urban landscapes in the pursuit of a visionary aesthetic that encompasses all fields of design, ranging from urban scale through to products, interiors and furniture. Zaha Hadid’s built work has won her much academic and public acclaim. Her best known projects to date are the Vitra Fire Station, Germany (1993/1999) and the Cincinnati Contemporary Arts Centre, US (2003). ‘Glasgow’s new Riverside Museum is to be built between the mouth of the river Kelvin and Yorkhill Quay in the Clyde’s Lower Harbour’.